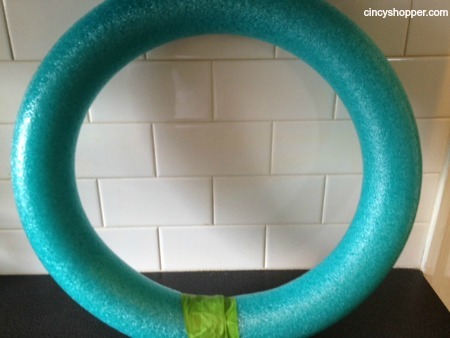 Time for a Dollar Store DIY Fall Wreath. My daughter and I have been quite crafty lately. I will admit that we have made our home feel nice and cozy for fall with all of our new Fall decor that we have been crafting. I thought it would be a real challenge with the budget we were working with (next to nothing, ha ha). The hubby has been quite happy with fact that we have not blown our budget purchasing a bunch of new fall decor at the upscale stores. In the past I have always wanted to shop Pottery Barn and Grandin Roda for fall decor. He has been quite impressed with all the items we have made up with our Dollar Store purchases. If you have yet to see the Dollar Store Mummies , Candy Corn Wreath, Dollar Store Pumpkin Votive or the Fall Raffia Vase we made check them out. 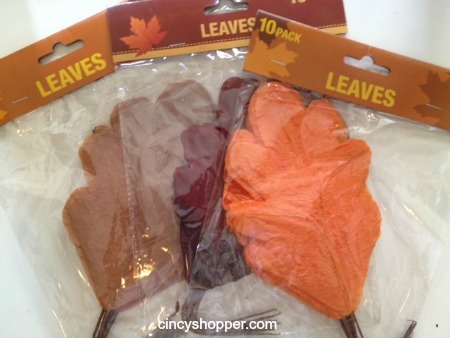 You too can create some fall decor quick, easy and inexpensively. For this Dollar Store DIY we whipped up a Fall Wreath for our side door quite quickly. With just a couple supplies and a glue gun we had a warm wreath for our door. I loved the colors of the bagged leaves at the Dollar Store this year. Warm burgundy colors for fall rate high with me. 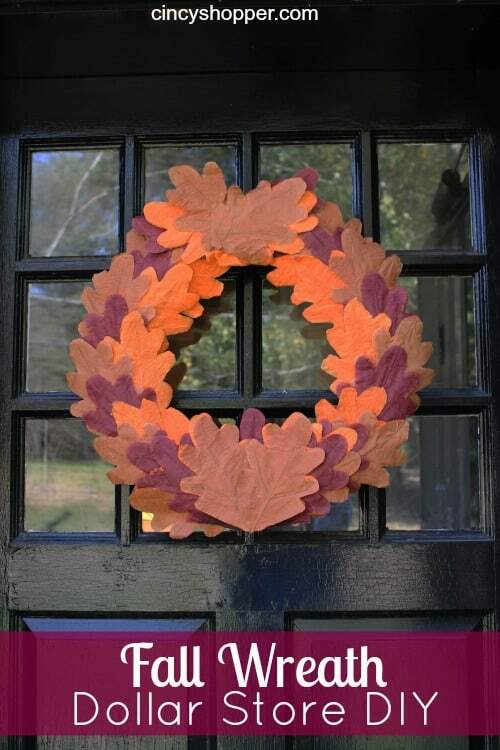 Making a warm fall wreath with Dollar Store items is that quick and easy! These look great on a door or on your walls (we are making another to place above a display on stand). Just drop in your Dollar Store with a couple of dollars and you too can whip up some quick decor. Drop back by next week to see the matching Fall Leaves Garland my daughter and I put together for just $3.